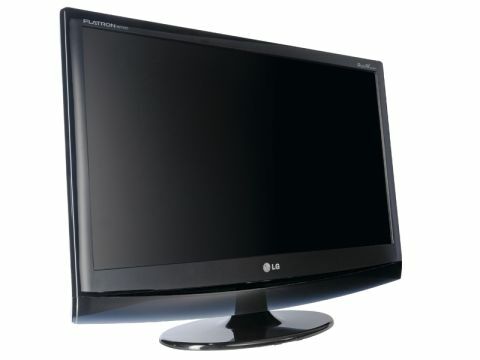 If big, bold but on a budget is your monitor bag, look no further than LG's M2794D. For starters, it's a hefty old beast with a 27-inch diagonal. More than enough for gaming on a monstrous scale. Thanks to the 1,920 x 1,080 res, it will also do full justice to Blu-ray and other full HD content. What's more, LG has thrown in a Freeview DTV tuner and IR remote, making this monitor something of a multifunction masterpiece. At well under £350, it's a bit of a bargain. However, what you won't get at this price point is perfection. The TN panel is very bright, but it's hardly the last word in natural, vibrant colours or broad and forgiving viewing angles. Nevertheless, with zippy pixel response and that massive 27-inch diagonal you get an awful lot of gaming goodness for your money.